When you book a stay at a hotel in Jimbaran Bay, Bali, you will certainly not be starved for things to keep you occupied. Even those who book a long holiday will soon find their days filled with excitement and fun things to explore to the point that you’ll need to spend a few hours just resting and basking on the beach or at the poolside of your hotel in Jimbaran Bay, Bali. Jimbaran Bay is in the perfect location to explore the wonders of Bali from the nearby city of Denpasar to swimming and diving off Jimbaran Beach. There’s always something to in Jimbaran Bay. 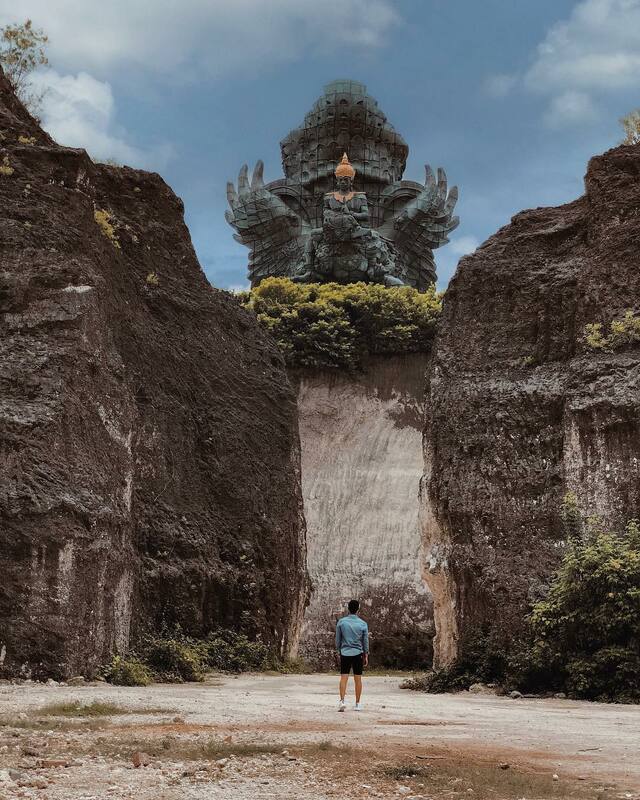 Garuda Wisnu Kencana (also known as GWK), is a cultural park located just a few minutes’ drives from your hotel in Jimbaran Bay, Bali. The park is home to a giant statue of Vishnu, the Hindu god, atop a mythical Garuda bird. The park also offers music festivals, cultural dance performances and other artistic events throughout the year. 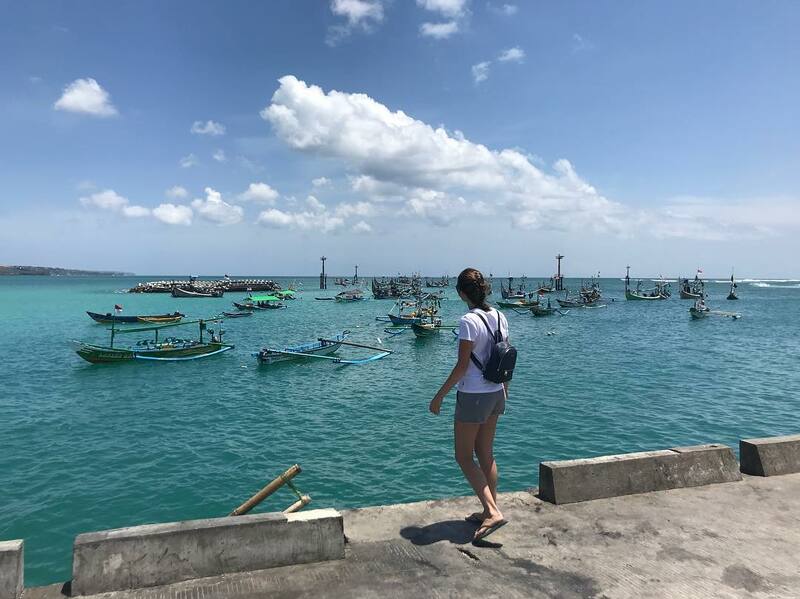 You can arrange to take a fishing trip off Jimbaran Beach out into the magnificent turquoise waters of the Indian Ocean and try your luck at fishing for Mahi-mahi, Amberjack or Snapper. Once you’ve landed your catch, many of the restaurants along the beach will be happy to cook it up and serve it for you. This is a perfect activity to bring the kids along and spend a day out on the waves. 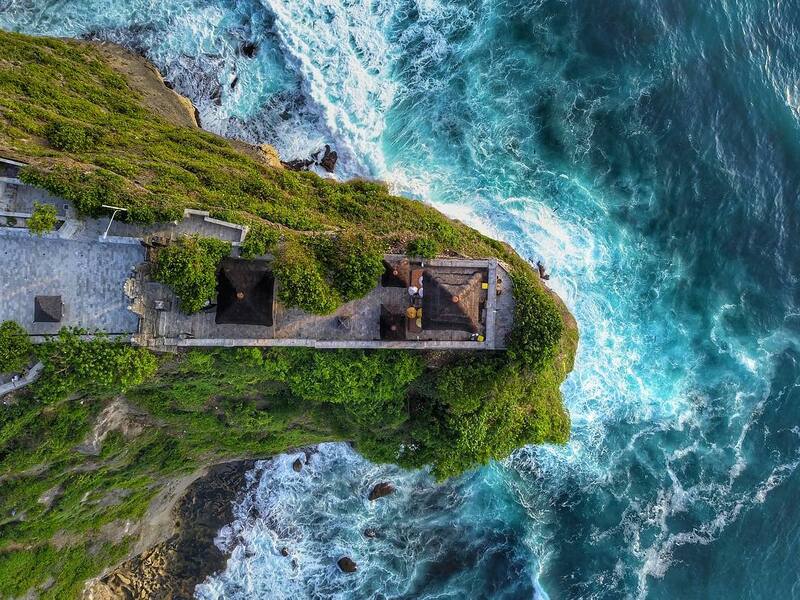 From your hotel on Jimbaran Bay, Bali, it’s only a short drive to the dramatic, cliff-side location of Uluwatu temple. This is one of Bali’s most important sea temples. There are nightly cultural dance performances at this iconic temple whose image has graced so many Bali postcards. There are also hordes of macaque monkeys that live around the temple. The macaques are known to be thieves who will grab anything they can, so be sure to keep all your belongings safe. The InterContinental Bali Resort is the home of the Sunset Beach Bar and Grill, one of the coolest places to relax and enjoy a Balinese sunset. The casual beach-side location is the perfect place to dig your toes in the sand underneath mature trees that are lit with coloured lights once the sun sets. Serving fine dining from breakfast until dinner, you’ll fall in love with the food and the atmosphere at the Sunset Beach Bar and Grill. The InterContinental Bali Resort, a 5-star resort hotel in Jimbaran Bay, Bali, is home to the Spa Uluwatu. This is one of the most luxurious, healing and restorative spas in Jimbaran Bay. Spend a day or just half a day indulging yourself at the Spa Uluwatu and we’re certain you’ll emerge ready to take on the world again.